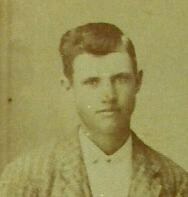 _ Elam Laurens Sharpe bought a farm joining his parents’ farm nine miles Northeast of Weatherford. After the death of his father, Henry Laurens Sharpe, Elam and his family farmed both places; later he bought about one hundred acres from his mother, Lucy Phillips Sharpe. Elam raised cotton, corn, oats and wheat. We are told that Elam’s father looked for gold in the hills near his home, he didn’t find gold, but he also looked for bee trees, and was successful with this and had many hives of bees. The bee business was attractive to Elam and he spent much time working with the sixty hives he owned. He sold many quarts of honey to supplement his farm income to help feed and clothe his family. Elam was stung many times but fortunately he was not allergic to bee stings. Each member of the family has fond memories of the honey bowl; it was an eight sided, covered dish on a stand. This dish was always on the table at mealtime. Besides honey for sweet, there was good syrup made from Japanese honey drip cane that was delicious with Ola’s good home baked bread. Ola was a wonderful cook and we remember her cinnamon rolls, cobbler pies and cakes. She entered her yeast bread and white layer cake in the county fair and received first place on bread, and second place on cake. Elam was born in Clay County September 20, 1875. Ola was born July 22, 1882. They were married March 5, 1899. They had seven boys; Willie (Bill), died 1932; Roy Fred, John, Hubert (died as a baby), Raymond, and E.L Jr. The girls are Ruby Wilson and Mamie Sue Smith. All these children were born in the same small, four room. There was a trundle bed that was slid under the big bed in the day time and pulled out at night where the one next to the baby slept. The family built a new house in 1917, where they had more room to grow. The children went to school at Dicey in a hack pulled by two grey horses. They kept about eight animals for farm work and they milked cows by hand; they had a separator, and sold cream, and fed the skimmed milk to the pigs which helped to furnish meat for the family. The boys were hunting in the winter, for skunks and opossum to help them have spending money, sometimes they would check their traps on the way to school and would get skunk odor on their clothes. In the summer when water was short a well about 12 feet deep was dug in the branch so water could be drawn for the stock to drink. They did the family wash at this well also. Threshing grain was a busy time for the women folk as well as the men. Ola and the girls had to prepare meals for about 25 hungry men; and fix beds for those who spent the night. Ola developed a tumor on the brain which caused her death on August 29, 1932. After Ola’s death Elam married Della Copeland. Elam still had his bees and some cattle and as farming was not too profitable they raised turkeys for market; this required a great deal of time, herding turkeys, and looking for their nests. There were lots of rattlesnakes in the area and the turkeys were good detectors. 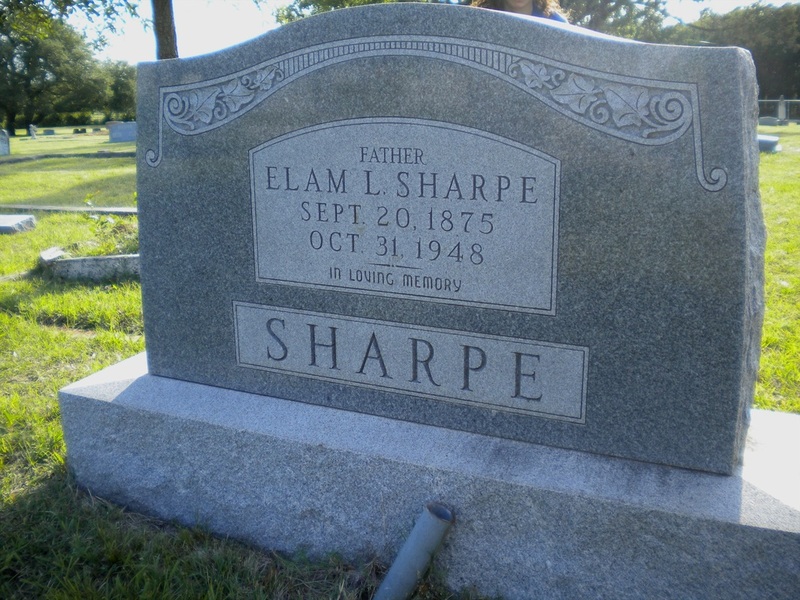 Elam died October 31, 1948 of a heart attack, he and Ola are both buried in Clark Cemetery.